A Neath-based choir led by intrepid local adrenaline junkie, Cerys Llewellyn-Bevan, are planning a skydive in aid of Music in Hospitals & Care (MiHC), after already raising an impressive £2200 for the charity over the past year. Valley Rock Voices started fundraising for the charity in July 2018, with a bucket collection at Morriston Hospital, Swansea. From there, the choir performed a concert at St David’s Shopping Centre, Cardiff, which raised a whopping £525.92 and they were able to secure match funding which doubled their total. A Christmas concert in the shopping centre a few months later raised another £1042.63 over the course of a 90-minute singsong! 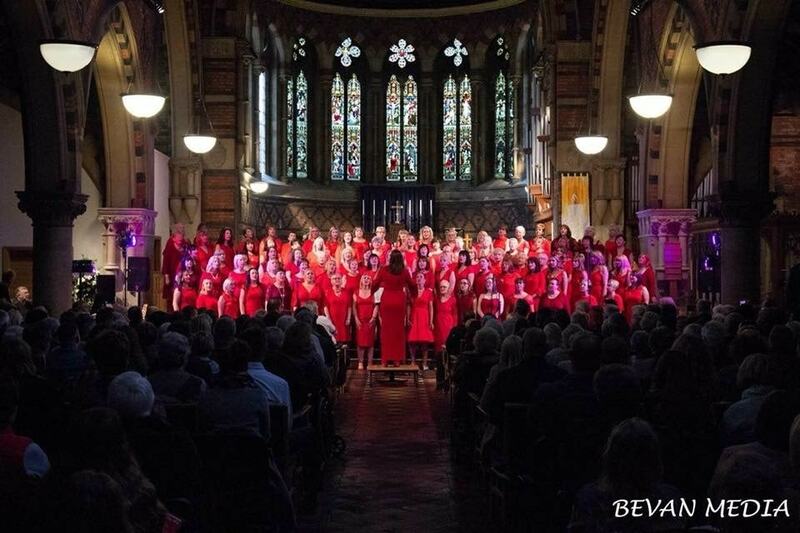 Following on from this success, choir conductor, Cerys Llewellyn-Bevan, is now planning to take their fundraising to another level, with a skydive in June 2019 in aid of MiHC.